One of the highlights of any Collector's collection are examples of Prints Remarqued by the Artist. Nicolas Trudgian produces some of the finest, most detailed, Remarques of ANY Artist currently working. 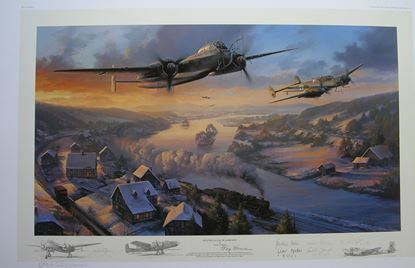 His drawings are detailed and precise and many have superb backdrops that make them beautiful self-contained pieces. Remarques for his back-catalogue releases are very tough to come by and some are virtually impossible. Nick's earliest Remarque Editions were only 25 per edition. 'Hot Pursuit', 'Green Heart Warriors' and 'Dawn Chorus' all only had 25 Remarques and are thus extremely difficult to obtain as they do not reach the Secondary Market hardly at all. 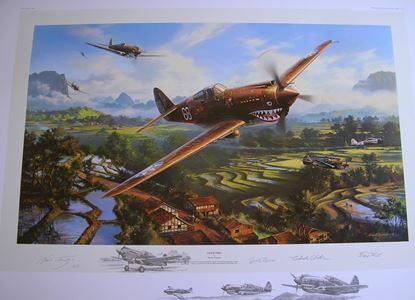 On this page you will find some examples of Nick's Remarques for sale. I hope you enjoy your visit.